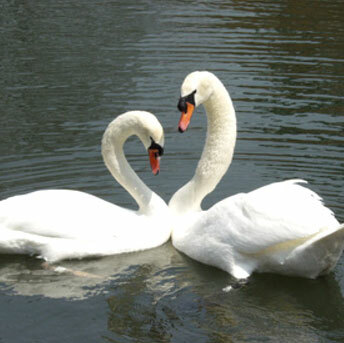 At the heart of Millersville University’s picturesque 250-acre campus is our historic pond which is home to our two resident swans, Miller and S’ville. The young or baby swans are called cygnets. Swan nests are usually a large pile of reeds and water plants. She incubates them until they hatch about 30-35 days later. The male guards the nest from predators and may take over incubation so that the female can feed. Both parents tend the cygnets, which are sometimes seen riding on the back of a swimming parent. Cygnets first learn to float in the water, then start to fly in about 60-75 days.